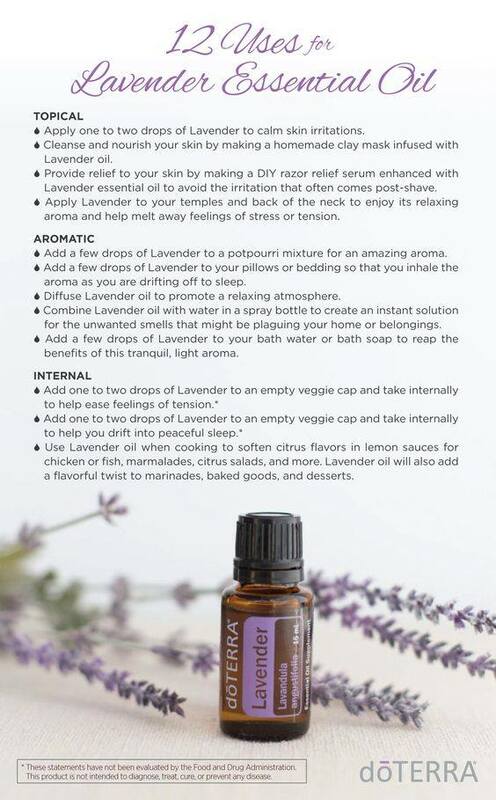 Lavender oil is one of my absolute favorites! I always keep a few bottles of lavender essential oil around due to its countless number of uses. Use for centuries, lavender oil has a beautiful aroma and powerful benefits that you can take advantage of. From promoting a good night’s sleep to soothing skin irritations, Lavender essential oil can be used topically, aromatically, and internally. Diffuse to promote a restful sleep. Mix with a carrier oil for my skincare. Blend with other oils and diffuse to freshen the indoor air. I hope you find these practical uses and benefits of lavender oil helpful! 1 – Skin irritation or dry skin. Are your hands constantly plagued with dry skin and unhealthy looking cuticles? Mine are super dry to the point of cracking. At least once a week I make a solution of lavender oil and Jojoba oil and massage into your cuticle and hands. 2 – Cleanse and nourish skin. 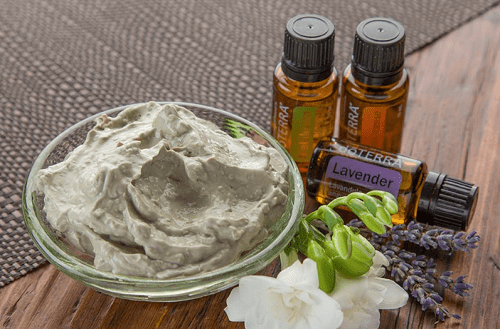 You can also cleanse and nourish your skin by making your own Lavender essential oil clay mask (see below) at home. Great for all skin types! I’ve used the bentonite clay (see recipe below) and your facial skin can get extremely red the first couple of times you use it but goes away in about an hour. Similar to the doTERRA mud mask. Read my review here. 3 – Post shave. Do you struggle with obnoxious razor bumps after shaving? Well, shaving might be essential, but irritating razor bumps are not. Provide relief to your skin with this Razor Relief Serum (see below) enhanced with Lavender essential oil and avoid the irritation that often comes post-shave. 4 – Stress and tension. You can apply Lavender oil to the bottoms of your feet as a part of a relaxing bedtime ritual. Rub onto your forehead and temples to promote relaxation. 5 – Add to potpourri mixture. Do you have a pot of potpourri that has seen its day? Don’t throw it out! You can utilize the amazing aroma of Lavender essential oil by adding a few drops to a potpourri mixture that could use a little revitalization. 6 – Add to pillows and bedding. Add a few drops of Lavender to your pillows or bedding so that you inhale the aroma as you are drifting off to sleep. This is so simple yet effective! Ihave trouble sleeping and love using lavender oil to drift off. 7 – Diffuse for a relaxing atmostphere. I love diffusing lavender oil in the main area of my home to create a relaxing environment. I have to be careful not to drift off to sleep! 8 – Combine with water in a spray bottle to eliminate smells. I am super sensitive to yukky smells and keep a small spray bottle around to freshen the air. 9 – Add a few drops to your bath or bath soap. Do you love a nice relaxing bath? Me too! Just add a few drops of Lavender oil to your bath water. If you make your own soap, add lavender to that too. I use doTERRA’s lavender soap and it’s divine! 10 – Add 1 drop to veggie cap to help ease feelings of tension. 11 – Add 2 drops to veggie cap to drift off to a peaceful sleep. 12 – Use lavender oil for cooking to soften citrus flavors in lemon sauces. Lavender oil will also add a flavorful twist to marinades, baked goods, and desserts. Note: Bentonite clay can be purchased at your local health food store or online here. Do not use a metal bowl or spoon with bentonite clay as it can make it less effective. 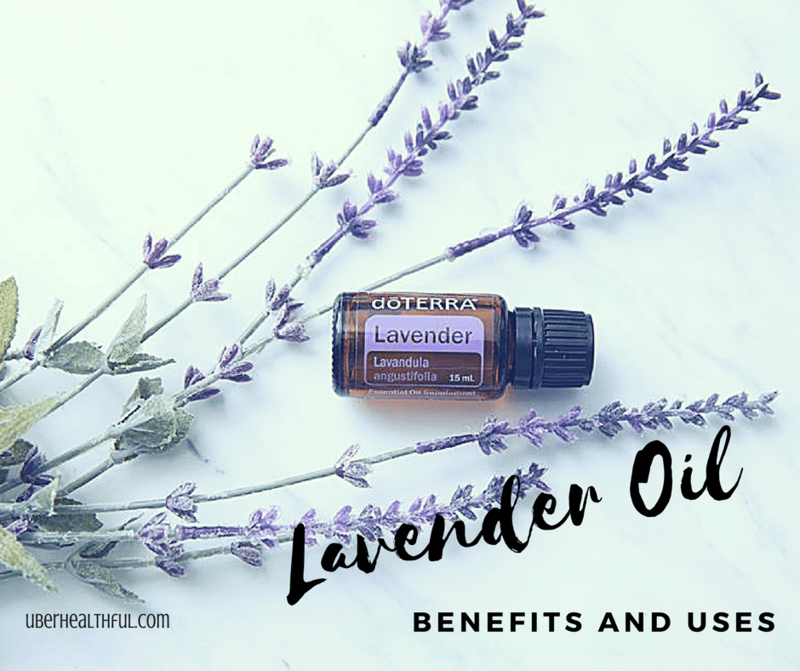 What did you think of these benefits of lavender oil? Pretty cool, right? Let me know what you think in the comments below. As always, feel free to share this with your friends. Ready to get your doTERRA Lavender oil, visit my essential oil page. You can also contact me if you have questions or need help deciding which kit would be best fo ryou.